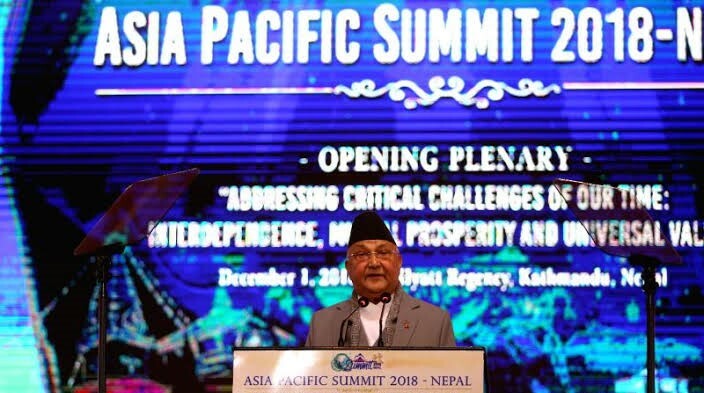 Two day Asia Pacific Summit-2018 has started in Kathmandu,Nepal. This summit was organized by South Korea-based Universal Peace Federation and supported by the Government of Nepal. This summit has attended by 1500 including Myanmar State Counsellor Aung San Suu Kyi and Cambodian Prime Minister Hun Sen, are taking part in the event. Other notable attendees include senior leader of India’s ruling Bharatiya Janata Party Vijay Jolly, former Indian prime minister HD Devegowda, former Pakistani prime minister Syed Yusuf Raza Gilani, Nauru President Baron Waqa, Philippines Vice-president Maria Leonor G Robredo, Samoa Head of State Vaaleto’a Sualauvi II Tuimalealiifano and Tuvalu Governor General Iakoba TaeiaItaleli, according to Bishnu Giri, media coordinator for the event.